When my daughter and I sat on the couch and watched the events of the Slave Lake fire unfold in May of 2011 she looked at me with welled up eyes and asked “dad, what can we do to help those people?” We had been watching an emotional mother and her two daughters on the news. The older 17-year-old girl described the feelings associated with the tragedy of their home burning down. Everything they had acquired as a family was torched without any chance to say goodbye. Calgarians know about this kind of catastrophe now. Over the years we have had experience with this type of community tragedy. As a producer of a long standing, Canadian outdoor documentary that focuses on Canada and her communities, I knew immediately we had to go. Since that initial realization we needed to help, our cameras have captured many things during our few trips to the Town of Slave Lake. We have been able to see for ourselves how a community pulls together during the high and low process of a recovery from a disaster. All of the things we have filmed have been interesting and engaging to a curious mind. When the writer travels, I am always aware of experience that is not calculated or pre considered. That is to say, I like to get on the ground and move my feet. They take me where I need to go. This is my favorite kind of approach to experiencing a new destination. 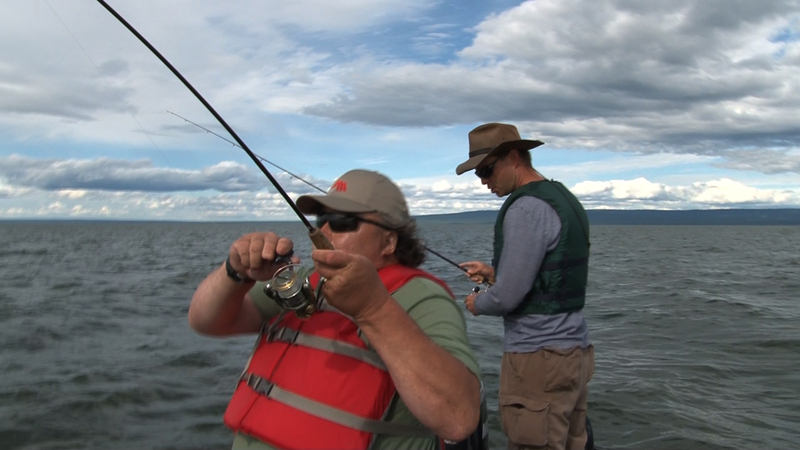 The attraction for most anglers who travel to Lesser Slave Lake is the remarkable walleye fishing. The Town was built in a bay on the southern eastern shores. Proximity to fish was likely a factor when the settlers arrived and chose the location to build the town. In the spring, a recreational angler can catch dozens of fish daily. We have attended the Boreal Centre for Bird Conservation (BCBC) in Lesser Slave Lake Provincial Park. During our time we interviewed the Centre’s Executive Director Patti Campsall to learn about the fascinating work they do there. The building itself is somewhat of an enigma for visitors. This Centre has been awarded LEED Gold Certification. LEED is short for Leadership in Energy and Environmental Design. This Centre proudly exceeds global environmental standards as a building. Complete with composting toilets. There is also an observatory, which employs bird tagging as a research method. Richard Krikun took us through the methodology. My youngest son was with me at the time. His fascination with the birds we witnessed being tagged was a fun moment for a father to observe. We also viewed how they collect the birds they research. One of our trips to the Centre was in the winter. We snow shoed around the area of the park that the Centre is located. What a wonderful experience. 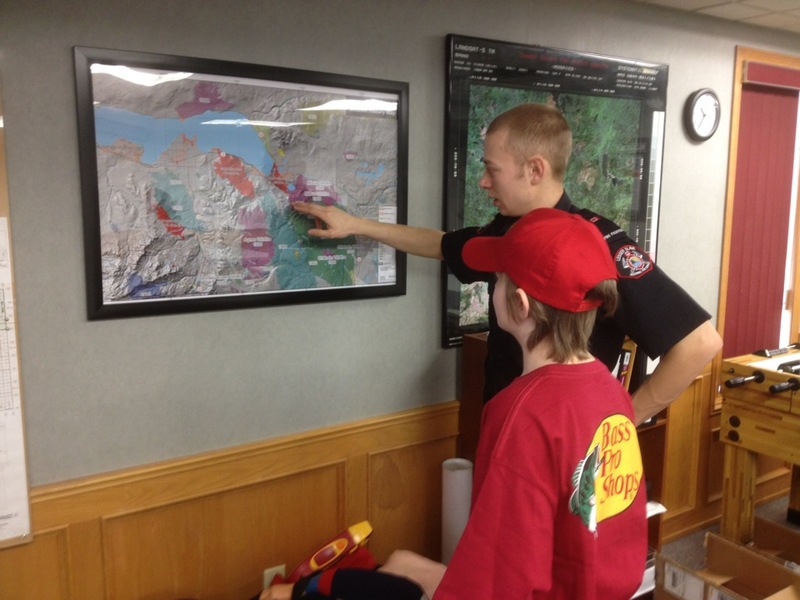 Another trip to the Lesser Slave Lake region had my youngest son and I observe the fire damage from a helicopter. We learned a great deal about the area from the bird’s eye view. The damage we witnessed was significant during our first attendance fly over. Present in all of our attendances in the Town of Slave Lake and area has been a permeating frustration towards the insurance companies. The stories locals have related of friends and loved ones moving away because they have no where to live is frustrating to hear. In some cases, people affected directly by the fire have just become exhausted with the daily grind of what is necessary to deal with the insurance industry. In discussion with the local hero first responders I have come to appreciate just what a terrifying reality the whole of the incident must have been for all involved. This community has a great deal of resilience. Everyone came together to help each other during the catastrophe. The entire province and people from all over Canada contributed to assisting this community in its’ time of need. The rebuilding process has been steady. The major hold up has been the insurance companies. That is unfortunately not a big surprise. During our time in the community we were able to determine where to stay and what to do by visiting the Lesser Slave Lake Visitor’s Centre. There is a great deal of literature there that is helpful. The Town of Slave Lake has a number of great hotels. It is wise to book rooms in advance of your stay. A person can also go online to http://www.lesserslavelake.ca to learn more. To experience the region fully it is important to have a link to the past. We visited Roland Eben-Ebenau to learn of his father’s pioneering years in the region. The family has a large parcel of land on the lake. They also have a museum that they open to the public. Roland ranches bison. I remember a cold, wet day sitting on a bench on the platform of a trailer being pulled by Roland’s tractor on his land. The trailer felt like a horse in that my shoulders rolled as we made our way over his land. I could see my breath. When we came upon the herd of Bison I could see their breath too. It was real when they circled our trailer. At one point I came face to face with a large bull. Luckily there was a heavy re-enforced guardrail that had been welded around the trailer. I was not alone. My young camera protégé was with me. He was completely immersed in the experience. Roland seemed to be totally at peace with the animals, the land and the lake. We have met some wonderful friends in Slave Lake. It is an important part of our province. Our television program has broadcast the 3 feature episodes many times since my daughter and I sat on our couch. It is wonderful how an intention to help fellow Canadians turned into an enlightening film shoot.